Six months in, I figured it was time for a guest week. Again, I’m very lazy. It just took me a while to rope some poor sucker into drawing the strip for me. By now it’s clear that Dave doesn’t like me. It’s hard to blame him, frankly. Yes, I used an actual Post-It on the first panel there. 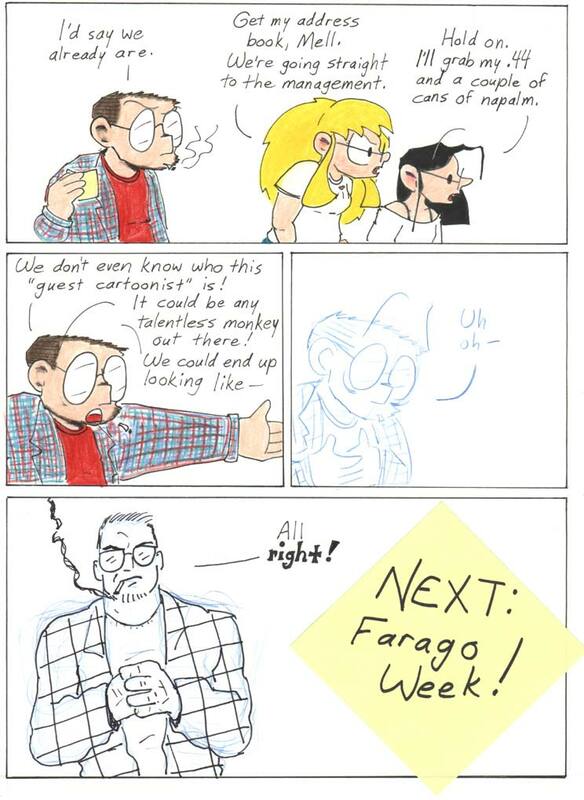 …and I especially like how smoothly the “Farago Dave” thread has progressed since its introductory episode. It’s one of those light-bending beards that appears in different styles depending on the angle you look at it from. From the side, it covers his chin and cheeks. From the front, it’s fuzz. From the back, if you use your X-ray vision to peer through his head, it looks like the bust of Franklin D. Roosevelt eating a Coney dog. You can buy ad space on the 3/4 profile view on a monthly basis… call Hirsute Advertising at 1-877-HIRSUTE to apply. 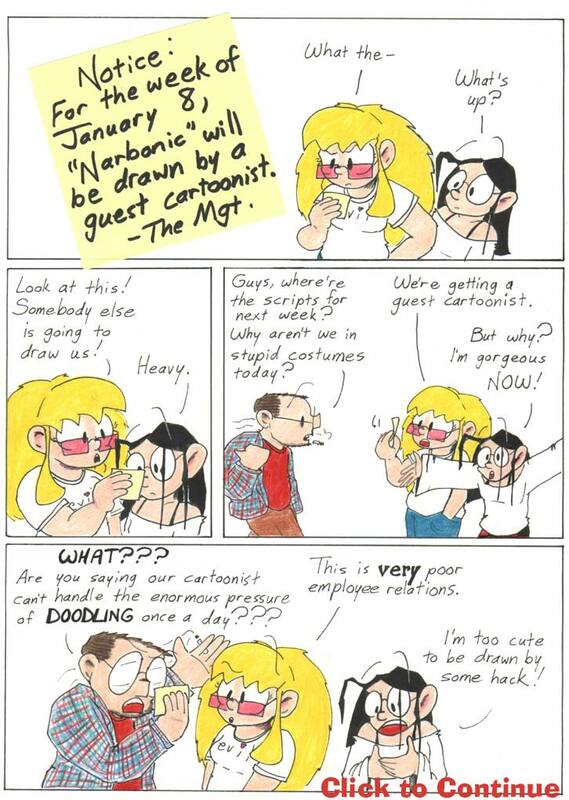 Finally, I would like to add that I’m quite looking forward to the coming week of strips for several reasons, not the least of which is that this’ll be the first of several times that Shaenon will have to provide commentary for strips she didn’t make.